What Took D.C. So Long to Respond to the Problem of Synthetic Drugs? 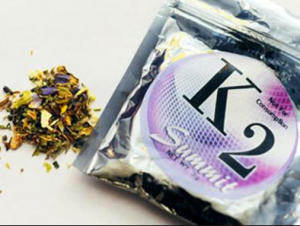 Washington, like a lot of other major cities, has had to deal with the plague of synthetic drugs for years. But the city has been slow to respond, writes Jeffrey Anderson in the D.C. City Paper. Anderson writes about authorities charging Nebiyu Jamal Fanta, who worked at the Benning Market & Dollar Plus in a tough section of D.C.
Until this summer, Fanta’s was one of only five cases on file in D.C. Superior Court, even as MPD Chief Cathy Lanier and Mayor Muriel Bowser cite synthetic drugs as a contributing factor to a recent spike in D.C. homicides and tout some 70 synthetic drug-related arrests this year. Overdoses among homeless persons have further elevated the issue to what is being described as a public health crisis and a threat to public safety. D.C. officials said they initially suspected synthetic drugs were a factor in the stabbing death of 24-year-old American University graduate Kevin Sutherland aboard a Metro Red Line train on July 4, then began to question the suspect’s mental state. Lanier has cited the drugs as a factor in three other unidentified homicides, and in July, the Pretrial Services Agency says 20 percent of recent violent crime suspects had tested positive for synthetic drugs. Now, after years of dithering, and in the midst of a summer crime wave, D.C. officials have leapt into action with a series of legislative, regulatory, and investigative efforts—both civil and criminal—aimed at preventing the drugs from overwhelming a city. But in spite of the newfound urgency, the question remains: What took them so long? Posted: 9/8/15 at 10:30 AM under News Story.